Whether you want to attach or hang something: ball chains are ideal for this. 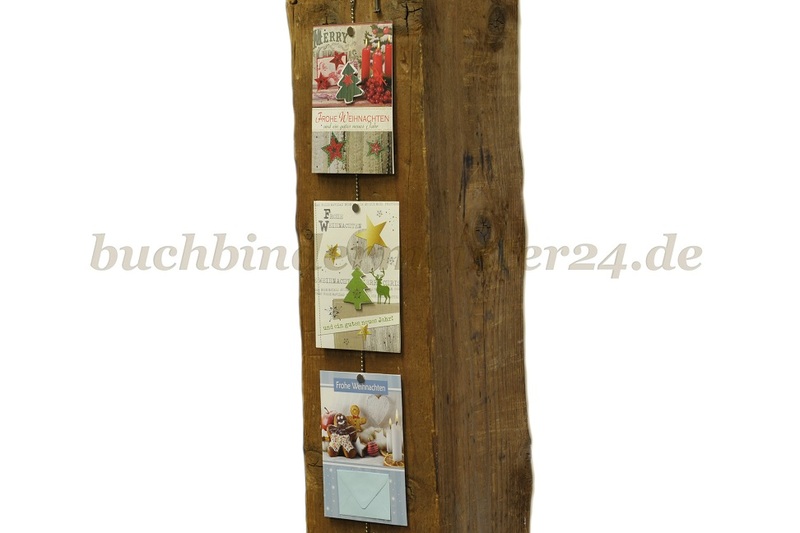 By their structure they are very sturdy and hold large loads. 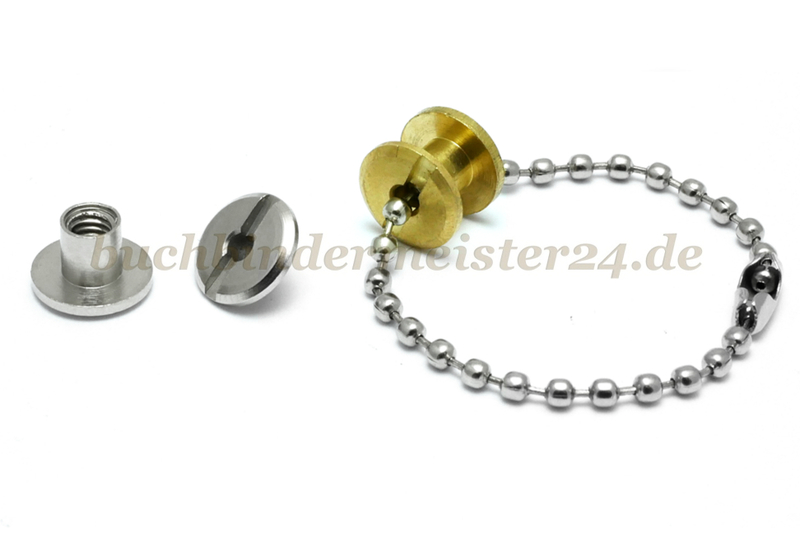 They are closed simply by clipping one end of the ball chain into the closure at the other end of the chain. The applications are wide-ranging. 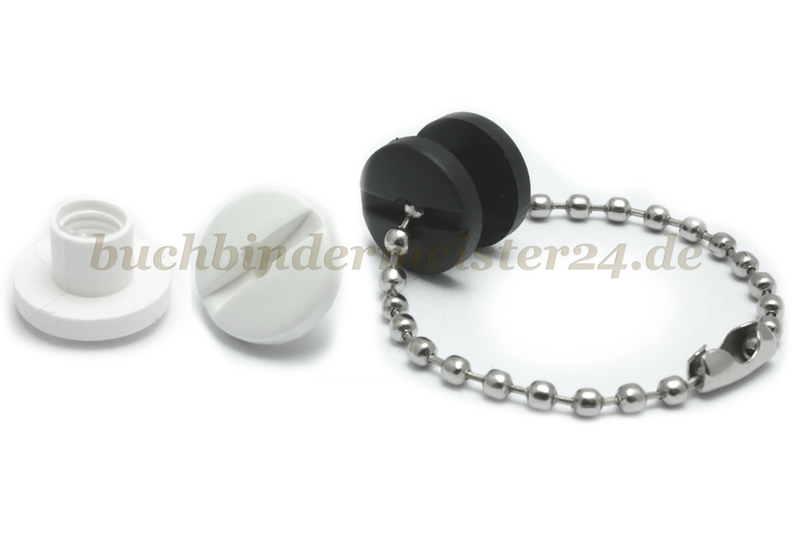 Use the ball chains as a hanger for example for USB flash drives, various Keychains or use this product for hanging sample cards or other items. We offer ball chains in various lengths. 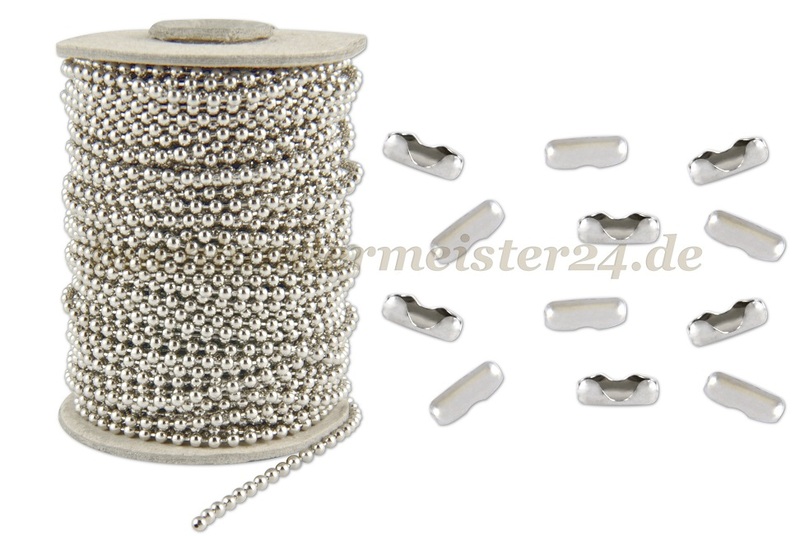 Additionally you can choose between nickel-plated, brass-plated and nickel-free ball chains.